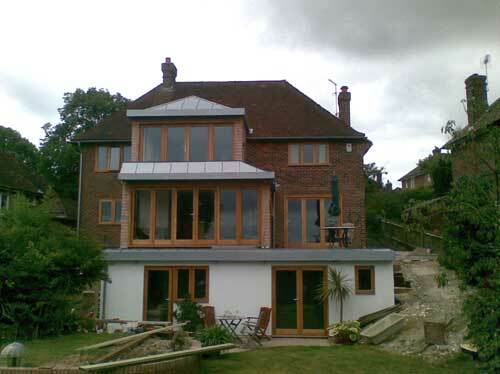 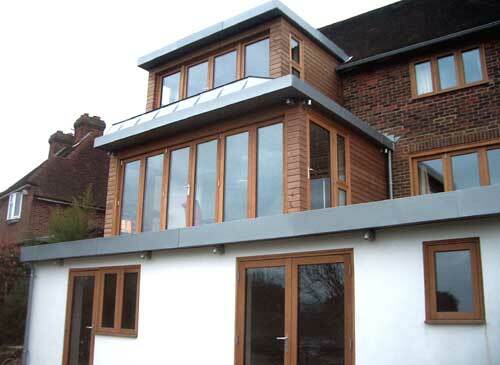 Our client lives in a two-storey detached house in Lewes, Sussex and was building a rear extension on both storeys with the addition of a new lower floor below this. 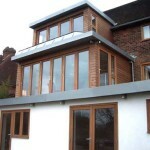 A terrace was built at ground floor level and a balcony on the first floor. 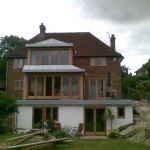 The client’s aim was to build something with style and character but which remained in harmony with the house and neighbourhood. 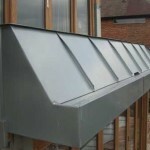 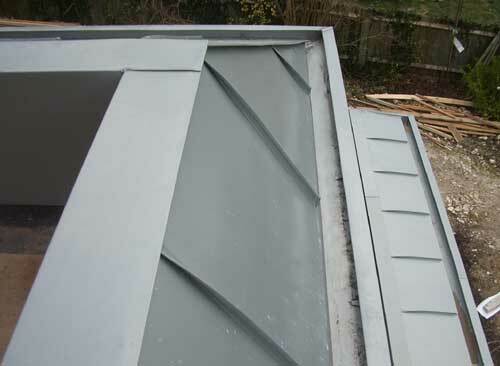 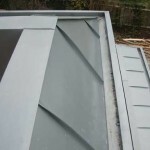 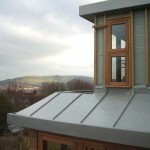 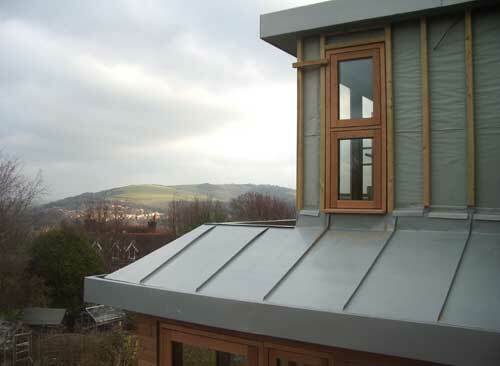 This led to a decision to use metal roofing and cladding in the project and, inspired by the restrained elegance of zinc, the client settled on a combination of timber decking with zinc roofing and fascias.